Hickling is the largest of the broads - one of the best for sailing and windsurfing, and there's a canoe hire centre too. It's also a Norfolk Wildlife Trust nature reserve with plenty of walks, a visitor centre and boat trips to explore the further reaches of the broad. 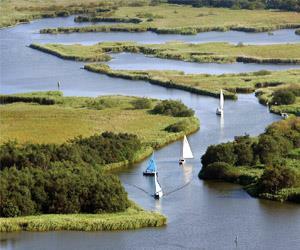 The reserve has a tree tower with fantastic views over the Broads and as far as the coast.